This is not the first Tom Connors tune that I have featured and it likely won't be the last. What I like about Tom is that he is a story teller through and through. Be it a funny story or a serious one, Tom knows how to tell it in song. Naturally when you start telling tales they have a way of stretching a bit like a fist story. Take this story about the findings of the American Space Program of the 60's. Well... maybe it's not ALL true... but when your a Canadian nationalist, you've got to find a way to turn the tide in your favor, don't you...? 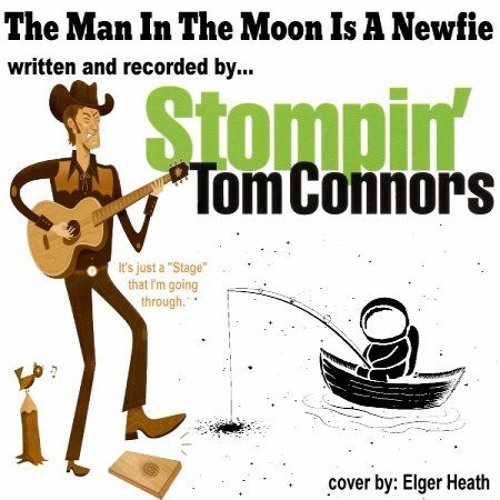 Here is my cover of a Stomping Tom Connors song called 'The Man In The Moon Is A Newfie'. I hope that you get a kick out of it.